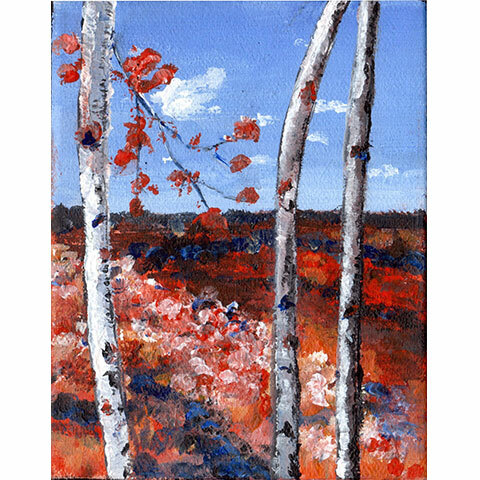 Original (sold): 5" x 7", Acrylic on stretched canvas. 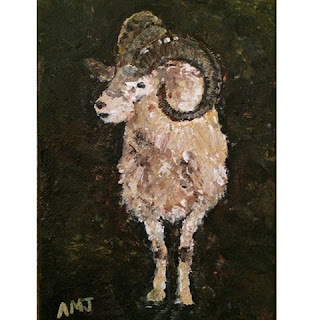 Sometimes it can be fun to reattempt a painting you've already done so I thought I should revisit my "Bighorn Sheep" from Shubenacadie Wildlife Park in Nova Scotia. This time I decided to only use paintbrushes but still lay the paint on thick. I loved it! I may have to start a series of sheep/goat pictures!